Police officers on the Trans-Canada Highway near Holyrood were kept busy on Friday afternoon. Police officers on the Trans-Canada Highway near Holyrood were kept busy on Friday. The Holyrood RCMP detachment said it handed out 23 tickets during a three-hour enforcement blitz on Friday afternoon. The tickets were issued between 12:30 p.m. and 3:30 p.m.
"We could have laid more than double that many charges if we would have had more personnel available today," Staff Sgt. Boyd Merrill wrote in a statement. "We had police officers in three separate police cars writing as fast as [humanly] possible." 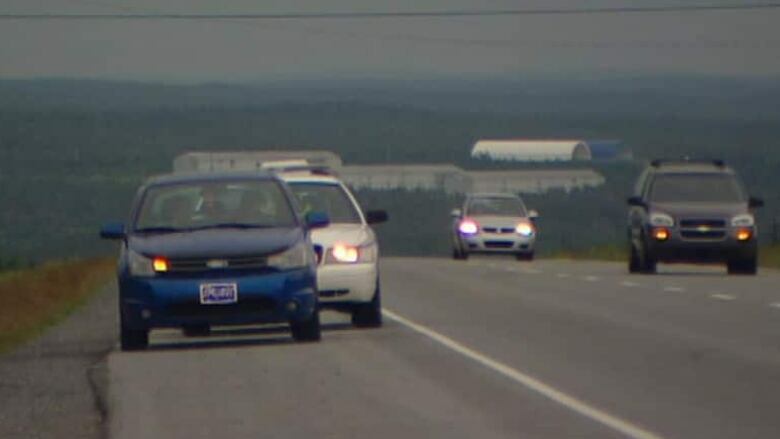 Police said they stopped one offender travelling more than 50 km/h over the posted speed limit. Others were given warnings for minor offences. According to Merrill, the Holyrood detachment spends almost two thirds of its time responding to traffic complaints on the Trans-Canada and other thoroughfares such as the Salmonier Line. "Obviously these are offenders who apparently did not listen to recent safety messaging frequently heard over NL media sources," Merrill wrote.